After several days of desperate, frantic efforts and pleas for president Koroma to spend some of the vast amount of money that he and his wife have collected from private donations, as well as from international aid to save the life of Sierra Leone’s first female doctor to contract the Ebola virus, she is now confirmed dead. 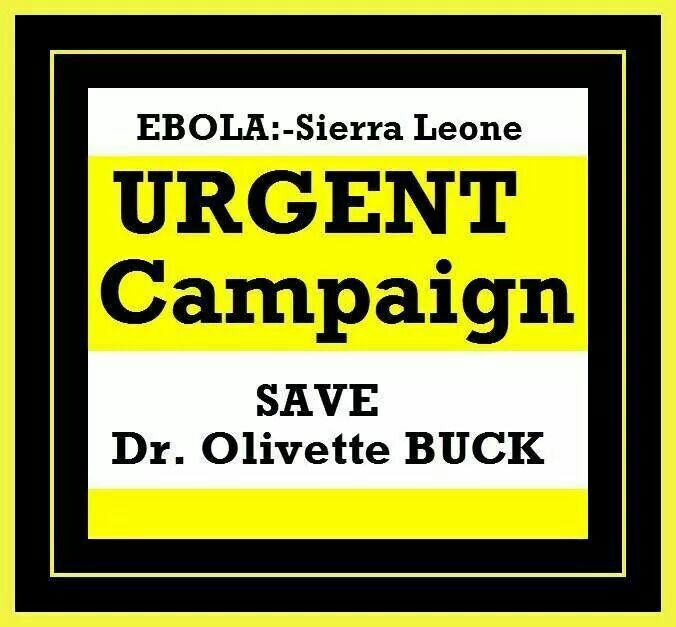 Rather than dig deep into their moral conscience and do what is right, State House instead had chosen to sit and watch Dr. Buck die, just as they presided over the death of Dr. Khan, Dr. Modupe Cole, and Dr. Rogers – four of Sierra Leone’s finest handful of doctors. History will not judge president Koroma kindly, nor will the people of Sierra Leone ever forget the fact that he has now become known as the weakest and most docile of presidents, to ever occupy State House. For a head of state to be weak, docile and inept is one thing, but to lose that one critical leadership quality that sets heroes apart from the chaffs, is something else. And that something else can only be described in two words: immorality and hubris. All that the family, friends, colleagues and the entire nation were asking for, was for president Koroma to undo the moral wrong he committed against Doctors Khan, Cole, and Rogers, by leaving them for dead in woefully inadequate conditions at the Kailahun Ebola treatment centre, where so many – including nurses and other health workers have died and are still dying today. (Photo: A president shamed by his own conduct). What kind of a president chooses to lead from the back, abdicating their sacred responsibility to save life by conveniently delegating and subcontracting key decisions to so called presidential task force and other committees? Clearly, those who in 2007 believed that Ernest Koroma was unfit to take up the mantle of state leadership, have been painfully vindicated. They were right, and the people of Sierra Leone have now discovered that they have been shortchanged. What kind of a president would collect donations from citizens and private corporations, amounting to millions of dollars to help fight this deadly Ebola, and failed to dig into the coffers to pay $100,000 needed to airlift Dr. Buck to a hospital in Germany for treatment? This is what the government’s media told the world on Friday: “Arrangements are being made to send her to another country for better treatment, said Health Ministry spokesman Sidie Yahya Tunis without specifying further.” (Source: Cocorioko News). Why did the government lie to the family and people of Sierra Leone that they were going to fly Dr. Buck to Germany for treatment, knowing full well they had no intention of doing so? 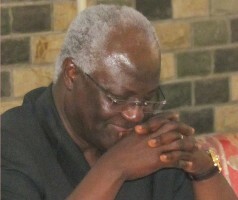 Can president Koroma ever be trusted? What kind of a leader would allow dozens of Ebola sick citizens to die, and their bodies left on street corners to rot? What kind of a leader would order all citizens of the nation to remain behind closed doors for three days – 19th – 21st September, only to then announce last Friday, that the country’s airport and seaport will however remain opened? Is this a confused president or what? When is a nationwide lockdown not a lockdown Mr. president? What kind of president would allow his ministers to announce that the lives of those citizens, unfortunate enough to contract the Ebola virus – a mere 0.02% of the population and hence insignificant? What kind of president would allow his ministers to announce that there are no dead bodies left on street corners, rather than apologise to the people of Sierra Leone for their serious failings, in managing this Ebola crisis and take steps to ensure that dead bodies are promptly collected from homes? The people of Sierra Leone are now fully aware of the president’s inability to show leadership and moral backbone when it matters most. And few will regret seeing his early departure from State House. Photo: President Koroma and Dr. Buck on his 60th birthday last year, doing what he does best – celebrating with orphans at Cheshire Home, health center at Kroo Bay and Lumley hospital. What kind of a president celebrates, with so many of his people living in filth and squalor? Money donated and funds remitted to the government through international aid, is now making a few people in the government very rich, whilst doctors, nurses, health ancillary workers and Ebola burial teams, continue to work without pay and without adequate protective wear – six months after the arrival of the Ebola virus in Sierra Leone. Last week, the government announced a new enhanced pay package for doctors, nurses, health workers, and burial teams, which everyone believed was generous and sensible. But little did the undiscerning public know that it was all a big con, simply aimed at quelling the unrest that was fast developing. But today, there are reports of health workers in treatment centres and hospitals across the country, laying down their aprons and refusing to turn up for work. This developing situation is dangerous and likely to accelerate the number dying from the Ebola virus, which now stands at more than 500. The people of Sierra Leone are now faced with their worst nightmare – a government that has not only lost its moral compass, but increasingly losing its legitimacy to govern. 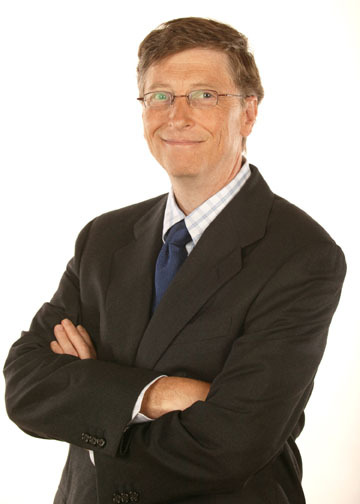 No one should, and can blame the likes of Bill and Melinda Gates for not coming to the rescue of Dr. Buck, despite several requests and pleas by the Sierra Leone Telegraph and others. Afterall, its their hard earned cash, and it is their prerogative to choose who, what and where they spend their money. But one thing is certain. 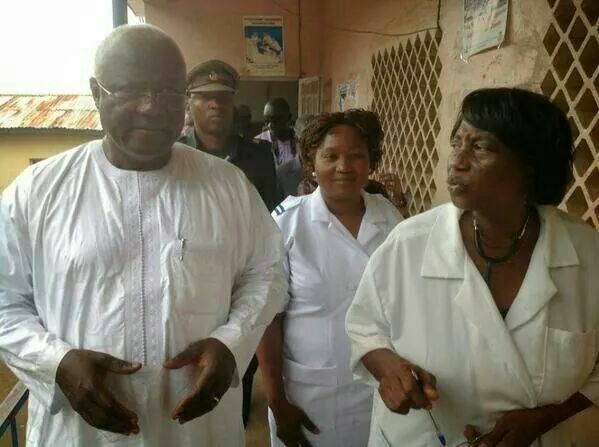 It is not the prerogative of president Koroma to choose not to save the life of any of his citizens. President Koroma is not the lord of the manor in Sierra Leone. He was elected by the majority of people of Sierra Leone to promote the wellbeing of the nation, protect and improve quality of life of all citizens. Today, it is clear that president Koroma and his government have, after seven long years in power, become a law unto themselves and the masters of the people, rather than their servants. His government has woefully failed the people of Sierra Leone. Corruption in high places and across the seat of government, smells to high heavens, as monies meant for promoting economic development and job creation, education, health, provision of clean and safe drinking water, electricity and good standard of sanitation are being squandered. Make no mistake, the world is watching developments in Sierra Leone. But as they watch, thousands are sadly and unnecessarily going to die in the coming months of Ebola and other diseases. First it was the evil men of wanting violence – the RUF rebels, who presided over a senseless ten year war, and an APC government impotent to stop them, that took the lives of 200,000 people. Today, its a deadly virus – Ebola, which could have been prevented – but for the inept, corrupt and moral bankruptcy of those in power, that more than 10,000 citizens of Sierra Leone – like Dr. Olivette Buck, Dr. Khan, Dr. Cole, Dr. Rogers; nurses – Nancy, Hajara, and Georgia, are going to die, by April 2015. President Koroma must bear full responsibility for the death of every single one of those citizens, due to the appalling mismanagement of the Ebola crisis, the worst of which is yet to come. Fellow Sierra Leoneans, when we make comments before and now, they say its SLPP. Ebola has proved them wrong. Look at the number of important personalities going to their untimely graves, just because a president who cares less and lacks focus, cannot make timely decisions. But we Sierra leoneans do not create heroes. No one wants to die, let alone go to jail for spearheading a civil unrest like late HINDOLO TRYE, who nearly brought down the Stevens’ government in the ’70s. I even listened to the audio clip above, and it is very shameful after receiving $2M plus dollars from the international community, a president can call WHO for evacuation of his citizen, a very important doctor. Well and fine, if ebola is anything that have ears, eyes, and can think, let it leave the poor Sierra leoneans alone by GOD’s power and chase the corrupt president and his government to their graves. President Koroma should be impeached and forced to step aside. It is evident that our country lacks the type of visionary leadership needed at a time like this. What is really troubling is the fact that our parliamentarians are all sitting on their buttocks and appear disaffected by what the President and his cabal of selfish and egotistical creatures are doing. This President continues to use his smoke and mirror tactics by doling out money to Parliamentarians and praise singers under the guise of fighting this Ebola menace. What good did it do to spend money on Parliamentarians for sensitization, when some of these individuals do not even know which road leads to their constituencies? Like everything this Crook has done, it is a grand plan to make everyone of this Parliamentarians complicit in his thieving scheme. How can any of them criticize him, knowing that they received substantial amount of money from the Grand Master himself to buy their silence? To compound matters and further muddy the waters, this smoke and mirror President is now talking about a nationwide quarantine that is really going to push the limit of the suffering of our fellow countrymen. 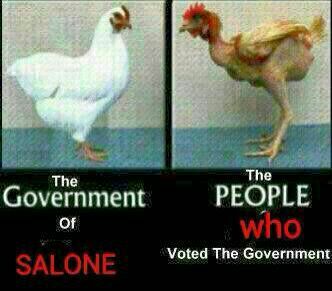 It is time for us Sierra Leoneans to wake up from our slumber. This is no longer about party affiliation, but the very survival of our state. We cannot afford to sit by and watch our people die needlessly. After all, those that are trusted to lead, do so at the behest of the governed, and if they are not furthering the right agendas, then they should be removed – be it democratically or otherwise. Knowing the tactics of the APC, they might be gearing up for just this type of confrontation. But at the end of the day, people’s power always prevail. What a Country of shameless leaders! greedy politicians lining up their bank accounts with monies coming in for WE the people of Sierra Leone. What utter nonsense – ” WHO should evacuate”..our citizen, a Medical Doctor – so desperately needed right now in the fight against the deadly Ebola virus. Instead of the useless 3 days lockdown, which in my opinion is totally uncalled for, it entails a lot of cashflow to sensitize families in their homes. Or the Le 63,000.000 for MP’s to do what? Sensitize their communities! this is so laughable. Our Shameless Leaders should have spent that money to evacuate such a fine doctor who contracted the virus in her line of duty. Our leaders do not care about the People of this our beloved land. If you’re not well connected you will suffer.. why? Sierra Leone is for all Sierra Leoneans. WHO funds is donor money, and the evacuation of sick patients was not budgeted for nor authorized; they work within a system Mr President; that is why money (donations) is pouring in like floodgates so that Sierra Leone can take care of our internal issues. The international community have their own issues. Why didn’t you call on AU? or ECOWAS? WE the people will demand an account of how our monies are being spent. What an inept Government! Wake up Sierra Leoneans, these leaders are causing us embarrassment around the world. See how the World would have respected us for spending our own money on the evacuation of one of our own. Sleep and take your rest Dr Buck, may your soul Rest in Peace. My heartfelt condolences to her Family. Utter embarrassment for the President and his clueless Government – who claimed not to know anything about Ebola (prior to its outbreak) despite the availability of the ICT! Two important principles the President should have thought about, precedent and national interest, before begging for international assistance to evacuate the poor doctor. Firstly, this would have opened the floodgates for similar requests for medical personnel infected with Ebola to be evacuated by WHO for treatment in the West. Currently, WHO is strapped for cash and seeking funding from the international community for the Ebola epidemic in the affected countries: Guinea, Liberia and Sierra Leone. The other principle is national interest: security. economic, human resource, etc. All the medical personnel evacuated so far are nationals/citizens of western countries: USA, Spain and the UK. And Governments of these countries were protecting their national interest ie human resource working abroad. No medical personnel of the affected countries have been evacuated for treatment overseas, and the WHO is not about to start a precedent with Sierra Leone. This should have been obvious to the President and his Government. Now he has ended up with egg on his face!